Middle of IV-III cent. B.C. Сeramics: potter's wheel, searing, black varnish. Height 7,4 cm, diameter 8,8 cm. Inv.No PCP 2283. 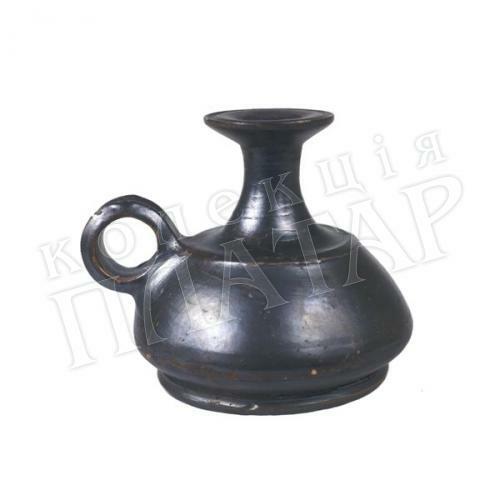 Lekythos is blackvarnished. A neck is cylindrical, garlands are cut aflat. The body is bulging, extended to the bottom, pallet circular. Handle is of band form, gutter-like. The surface is nonuniformly covered with shining black varnish.